Michele and Kristin first met in the fall of 2005, when Michele was a teacher and Kristin was a teaching apprentice. The next summer, a few months after Michele opened Rinaldi Pilates in the east village, they ran into each other at a Pilates conference in midtown Manhattan. Michele invited Kristin, a newly certified teacher, to start a Saturday morning shift at her studio, and the rest is history. Michele ended up successfully running Rinaldi Pilates for over a decade, with Kristin staying on as her longest employee. Now, twelve years later, they are thrilled to begin a new chapter in their professional relationship: one as partners in The Pilates Local. These two friends are intent on providing their longtime clients a space where they can enjoy quality instruction in a beautiful and comfortable environment. A native New Yorker and co-founder of The Pilates Local, Michele discovered the merits of Pilates while rehabilitating her own chronic back and hip injuries from nearly two decades as a gymnast. After receiving an MA in Psychology in 2001 and working in the healthcare field, she decided to combine her love for movement and understanding of the mind/body connection. Upon the completion of nearly 600 hours of apprenticeship to fulfill her Pilates certification a year later, her journey truly began. Michele founded Rinaldi Pilates in 2006, and soon established herself as respected instructor with a reputation for quick results addressing injury recovery and prevention, weight loss, and pre- and post-natal fitness and health. 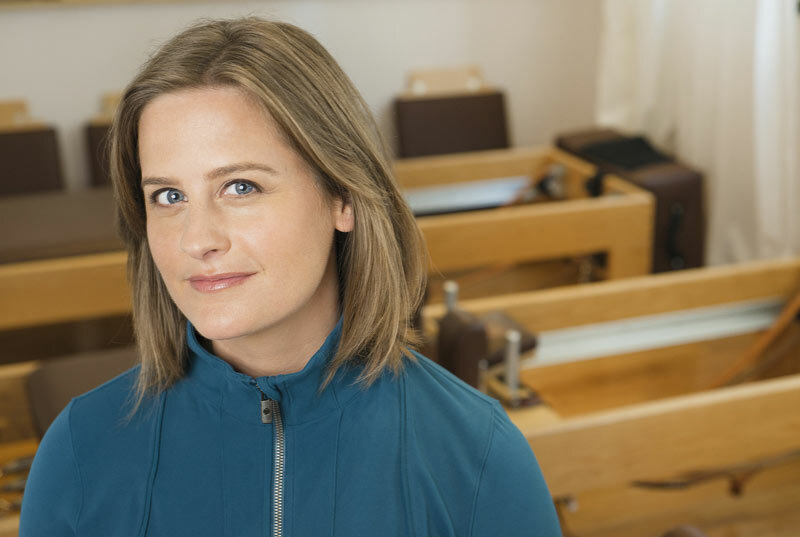 With her longtime associate Kristin Hoesl and The Pilates Local, she brings her passion and experience to a broader audience. Through her continued studies of biomechanics and anatomy, Michele’s teaching reaches beyond classical Pilates—providing her clients a deeper understanding of the relationships between the practice and their personal movement patterns. When she is not thinking about Pilates, she is dreaming about her next European vacation, the next cooking class she would like to take, her next tennis match, and the cheeseburger she will eat at Keen’s after a productive week in the studio. 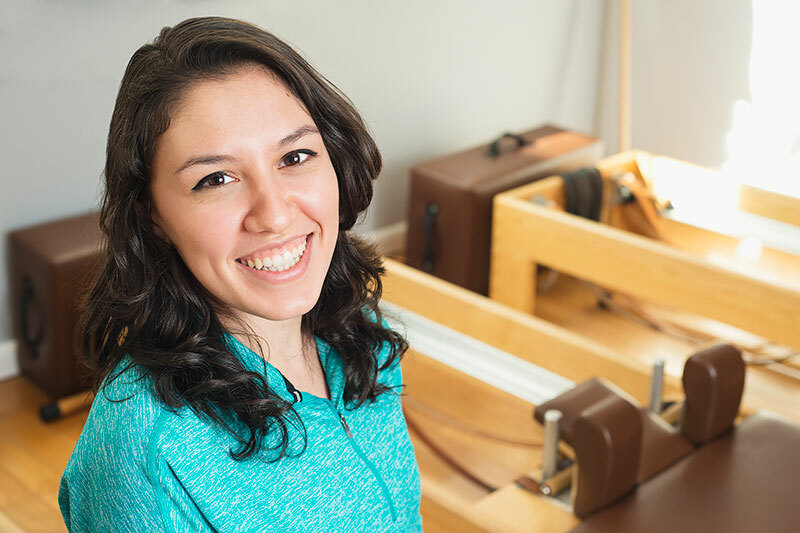 Kristin hails from Long Island and is the co-founder of The Pilates Local. A lifelong dancer and athlete, she first discovered mat-based Pilates through her freshman year college dance professor, and began her comprehensive training at Core Pilates NYC in 2005. She remained there as an integral part of their highly acclaimed teacher trainer program for over a decade. Kristin enjoys working with people of all ages and abilities. She has eight years under her belt as a member of Crossfit South Brooklyn, and specializes in teaching Pilates to weightlifters and athletes. She is especially attuned to the needs of the senior population, and works with many students who are in their 60s, 70s, and beyond. Additionally, she has been fortunate enough to mentor hundreds of apprentices on their journey to becoming teachers; the experience taught her how to have the patience, clarity, and expertise she needed to be a truly great instructor. When Kristin isn’t at the studio, she enjoys taking French lessons, going to the theatre, planning hiking and camping trips, and relaxing over a delicious meal and a glass (or two) of wine. Dani came to Pilates unconventionally. She was not naturally athletic or gifted with any sort of graceful movement abilities. She teaches with the true spirit and belief of Joseph Pilates; any person can become comfortable in their own body and move with confidence if they practice the method. After a long battle with several autoimmune disorders that left her physically, mentally, and emotionally debilitated Dani turned to Pilates for recovery. Pilates was her gateway fitness into regaining her physical ability, mental stamina, and emotional confidence. In 2012, Dani completed her Pilates certification at Core Pilates, NYC, under the tutelage of Kristin Hoesl, co-founder of The Pilates Local. She has been teaching full-time at various gyms and studios in NYC since completion of her certificate. 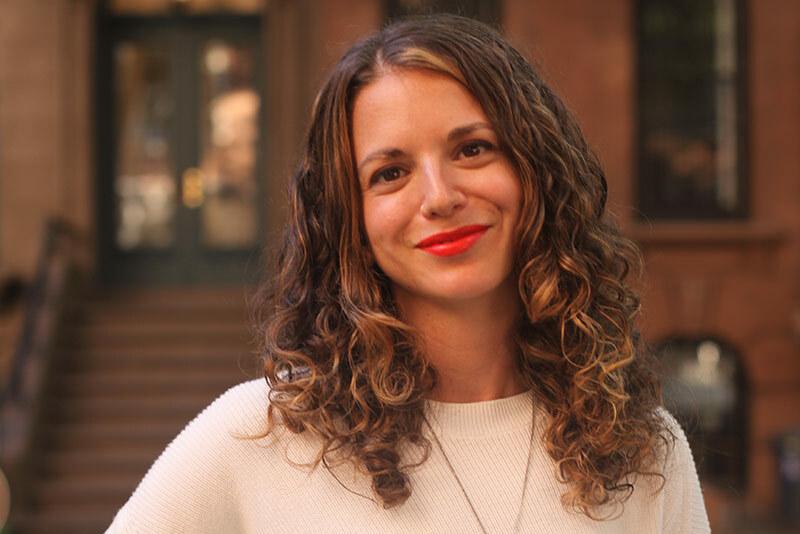 When Dani is not running across NYC bridges at sunrise, practicing her kickboxing skills, sampling mezcals or bourbon, or on the sidelines cheering her clients on to victory in their fitness endeavors, she is compassionately teaching her dedicated clientele at The Pilates Local. Michelle is a professional dancer from Brooklyn, NY. 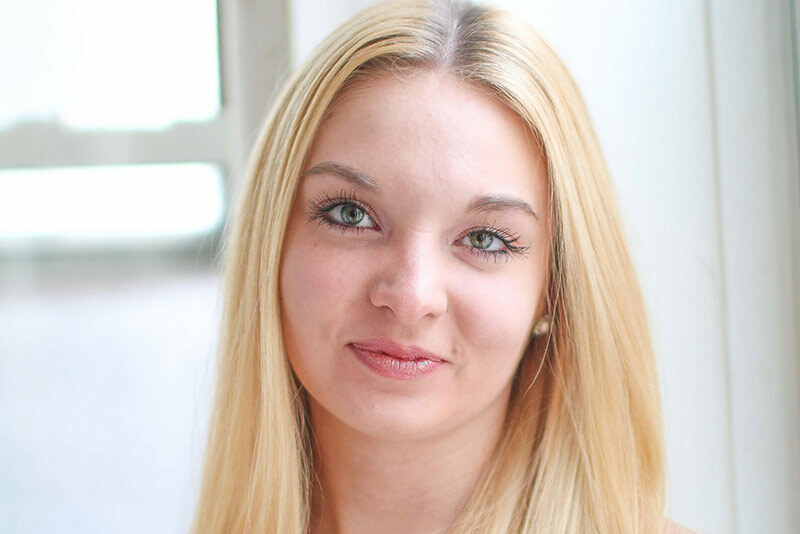 She graduated from SUNY Purchase’s Conservatory of Dance with a BFA in Dance Performance and a minor in Psychology. She currently dances with Azoth Dance Theatre and Ayalis in Motion. She also teaches dance to young children at Midtown Movement and Dance Company. Michelle received her Pilates teacher certification at Core Pilates NYC’s Comprehensive Training Program, and is also certified in pre/postnatal and special cases/injuries. Michelle’s pursuit of a healthier dance career is what inspired her to study Pilates and make it a part of her daily life. She feels movement is essential for a happy and healthy body and hopes to inspire her students of all ages to feel the same. Born in Brest, Belarus, Anya began her ballet training at the age of 8 at the Brest State Choreography School. After graduation, she performed professionally for 10 years before coming to New York. Inspired by Susan Moran, Anya studied the Pilates Method in great depth and in 2011 was certified through Power Pilates NYC, where she taught and studied with master teachers. Anya has been teaching at the Jazz Summer Program at the Joffrey Ballet School since 2011. In 2014, Anya continued her movement education and graduated from Pure Yoga with a certification in vinyasa yoga, which she now teaches here at The Pilates Local. 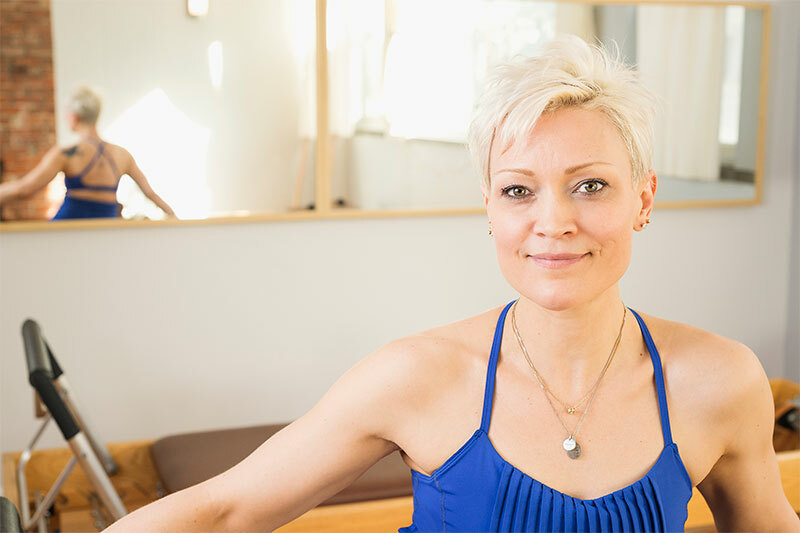 Anya is as passionate about Pilates and Yoga as she is about ballet; her immense training enables her to understand the body and encourage her clients to progress. She approaches each client as an individual and is able to help people of all ages improve in strength and flexibility. Anya likes to nourish and challenge her students, and most importantly, guide them in making new discoveries as well as empowering them to access their full potential. She believes that everybody, from an athlete to an artist, can practice Pilates or Yoga. Movement not only helps to connect mind and body, but also brings the benefits of mindfulness to different aspects of our life. Rachelle comes from a dance, martial arts, and aerialist background. Starting at the age of 3, she danced for 13 years, before pursuing a degree in Communication Arts & Design at Virginia Commonwealth University. After working in an office for many years, she needed some kind of a movement practice that was both physical and creative. This is when she got her black belt in Kung Fu, where she was asked to teach but then shifted toward the aerial arts where she first learned about Melt Method. She noticed how taxing the aerial arts could be on the body and was suffering from injury after injury until she tore her hip labrum and suffered from chronic pain. Melt helped to regain movement and keep her pain free so she could still pursue dance in the aerial arts. Her passion for MELT, and her gratitude for the healing she experienced, inspired her to continue her education and help bring the healing benefits of MELT to as many people as possible. Melanie Richardson is originally from Kentucky and came to New York two years ago to attend the Institute for American Musical Theatre to pursue her dream of performing on Broadway. She has been dancing since she was 3 years old and always knew that she wanted to perform, but it wasn’t until her high school years, when she started performing in musicals and plays, that she realized her passion for singing and acting as well as dancing. She recently graduated from IAMT which is where she first learned about MELT. Being a dancer, she knows how important it is to keep your body in the best shape possible. MELT helped her do this. She has struggled with nerve pain for several years and MELT has allowed her to function better and get back to dancing many hours a week. MELT has completely changed her life, and that is why she decided to become a certified MELT Instructor. She can’t wait to start teaching so she can share the wonders of MELT with others.